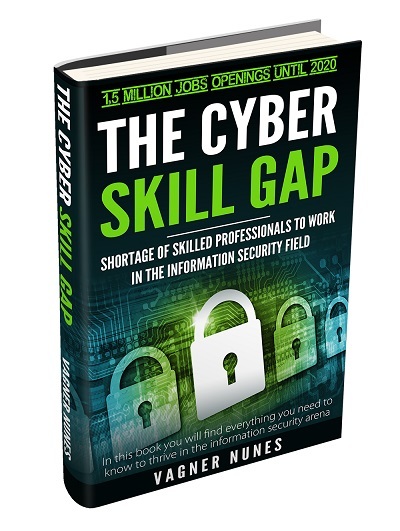 There is a desperate shortage of skilled professionals who are able to work in the field of Information security. This shortage amounts to 1.5 million worldwide and is likely to increase as new technologies emerge. There are many opportunities, most coming with high salaries, for professional people with the correct specialized skills. And as the threats in the cyber world increase there is also the need for constant updates and new thinking. An Infosec professional, working in this crucial field, cannot achieve succes. In this book, you learn what IT professionals need to understand about this brave new world, and about the organizations and credentials available to you. • The threat posed by today’s advanced malware, DDoS attacks, phishing, tailgating and the most lethal of all Social Engineering. • Cyber security: What it is and what you need to know about this field. • Why this industry is going to become so important over the coming years. • How to identify theft and the dozens of internet frauds out there. • Why Networking and Information Security Organizations are so important. • How to get the training, tools, networking opportunities and experience needed to become a successful. • Plus, you’ll also learn about (ISC)², the main Global Information Security organization, what they can offer you and how to join. Remember, as the world become more digital the threat of cyber terrorism and crime increase exponentially. And according to current trends there will be a desperate need for people who can combat these threats. If these trends continue (and they will) then you’re almost guaranteed to find highly paid employment in the cyber security industry. And if you’re interested then take a look at my field guide to the info sec industry.